The original schematics for our building are being detailed and a finalized design is emerging. 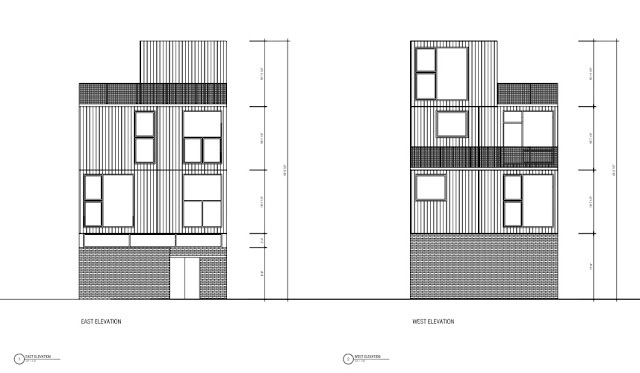 It is our hope that we will be presenting the completed package to the NYC Department of Buildings for permit approval. I promised that I would share details as they became available, so as I asked Jim Garrison to describe the building from his perspective as well as more of components that get us to zero-energy! This structure combines open and flexible planning with integrated gardens, state of the art sustainability strategies, and modular factory fabrication. 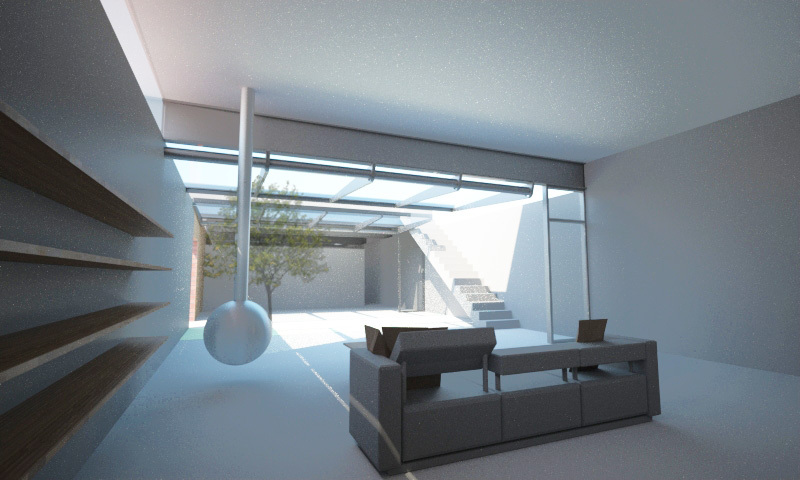 It is designed to be a zero energy structure, as it will produce as much energy as it consumes. The first floor consists of large live/work loft areas arranged on either side of an exterior court. Glass walls adjoining the court (see images) can be opened to allow the complete integration of the garden, living, and work areas. 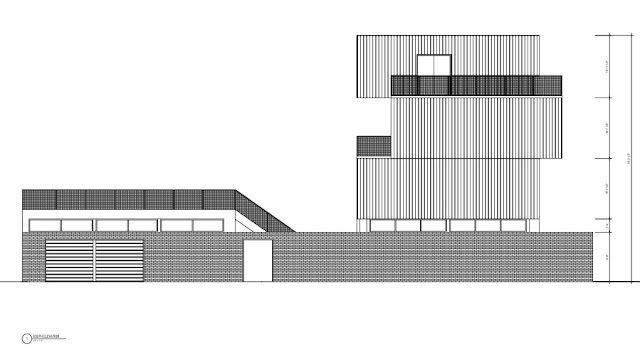 The form of the house is inspired by the shipping containers stacked along the adjacent waterfront. Modular units, proportioned similarly to shipping containers are stacked and shifted to create a variety of terraces and overviews. 8kw annual photovoltaic generating capacity, grid connected. 8kw annual comprehensive household energy budget including heating and air conditioning. High performance building envelope that eliminates thermal bridging and achieves an average thermal resistance of R50. Wall and roof systems are vented to eliminate moisture build up and use “smart” moisture barriers that allow air movement in warm months. Heating and cooling provided by high efficiency electric heat pumps. Whole house heat exchange ventilation system insures air quality and recovers energy from conditioned air.